KEBA is not a provider of complete solutions. The customer retains their freedom of choice. KEBA is small enough to be flexible with individual customer wishes. Our lottery solutions impress with their high degree of availability and unsurpassed reliability. KEBA is large enough to develop large projects professionally and to deliver market-orientated quality at competitive prices. The focus at KEBA is on long-term partnerships, a guaranteed future and a personal relationship. KEBA provides the best technical support and is happy to support your sales and marketing activities. Both terminals support all the usual functions on the market and offer an unsurpassed combination of maximum reliability, versatile connection options and high performance. The first-class quality of our lottery terminals guarantees maximum degree of availability and low failure rates. Therefore, it is also naturally associated with lower costs for service and repairs. 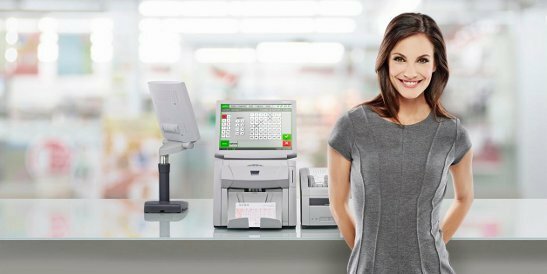 So that you are satisfied with your KEBA devices in the long-term, KEBA customer service is also of outstanding quality - for maximum economic efficiency and availability of your KEBA devices. The KEBA terminals are particularly impressive in operation due to their low failure rate. In addition to the outstanding product features, KEBA AG also scores points with their problem-solving expertise and customer-orientated cooperation. Our experience with KEBA was very satisfactory thanks to their dedication and professional commitment. KEBA has proven itself to be a reliable provider of exceptional products, as well as very competent support and consulting services. 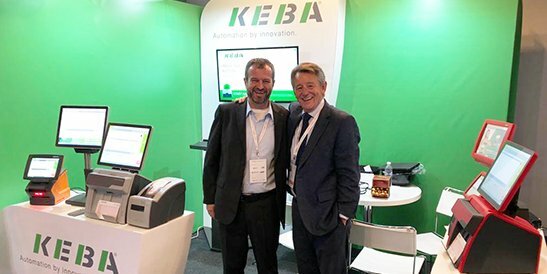 KEBA introduced its new lottery terminal to a wide audience for the first time at the World Lottery Summit 2018, the place where the lottery industry meets. This device represents an improvement over the previous model, KeWin multimedia, which has been updated particularly in terms of technology, design and usability. You can find additional information on our product page. KEBA continues to bring luck in Spain! KEBA and Spanish lottery company SELAE are continuing their existing successful cooperation, which has been going for more than 10 years, and have agree on the supply of an additional 10,500 lottery terminals.